Cedar decks offer longevity and stability due to the nature of the wood. Cedar is a hardwood that holds color longer than most other woods. The material is naturally rot-resistant and stable but requires frequent care. 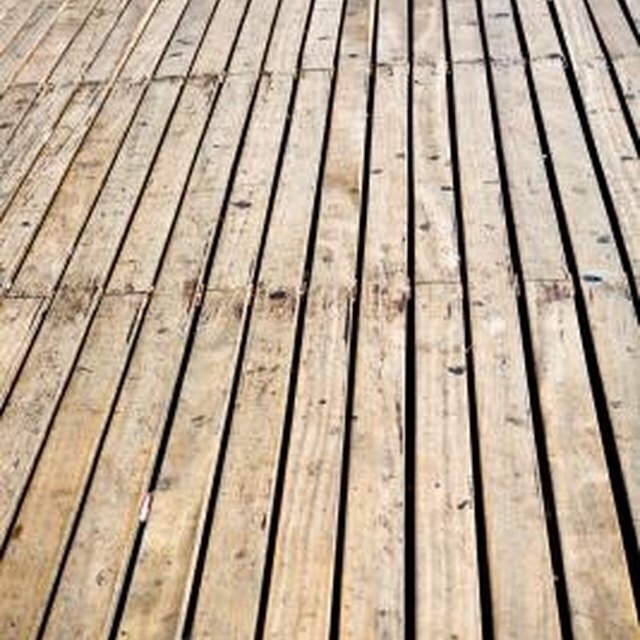 Proper maintenance on a cedar deck, or any type of wood deck, allows the deck to survive as long as the house. Annual cleaning, movement of stationary objects, and sealing the deck are the basics to proper maintenance of a cedar or wood deck. A well-maintained deck will last for years with only limited signs of aging. Remove all objects from the deck, such as planters, benches, or chairs. Sweep the deck free of debris. Make sure to sweep out the grooves between the wood planks, the wall, and around the support beams. Stationary debris, such as leaves around a support beam on the ground, increase the moisture content of the wood increasing the likelihood of decay. Scrub the surface of the wood with a wood wash solution and a mop. Remove any built-up dirt and grime from the visible surface and as far into any cracks and crevices as you can reach. Rinse gently with a water hose. Allow the deck to fully dry. Fill any holes, including holes where a nail is set beneath the surface of the wood, with wood filler. A scraper allows you to press the filler into the hole with the scraper held at an angle. Scrape the surface smooth with the flat edge of the tool. Seal the cedar deck with a water-based epoxy sealer. The chemical brushes on with a paint roller. Use two, thin coats to properly seal the deck. Move all furniture and decorations back onto the deck. Rearrange the location of the stationary objects frequently to allow the wood beneath the objects to properly dry. Clean and seal the deck once a year. The best time is right after winter before the spring rains begin.